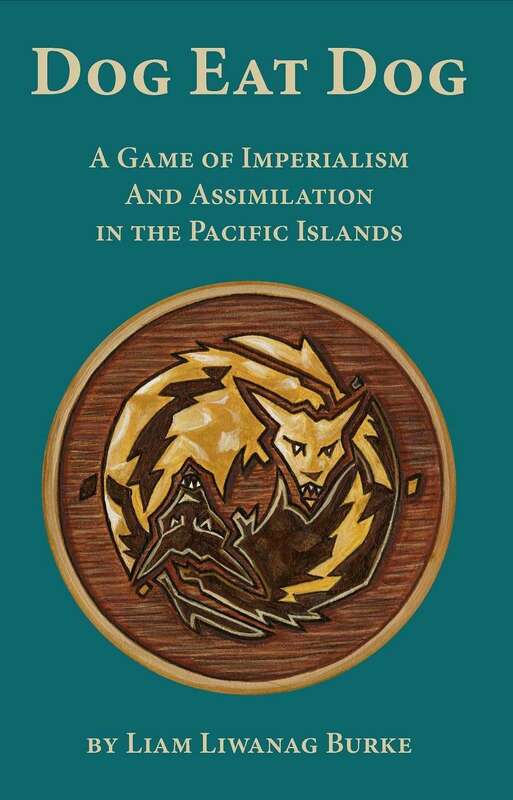 Dog Eat Dog is a game of colonialism and its consequences. It tells the story of the natives of a small Pacific island as they come into conflict with a foreign occupation force attempting to seize it from them. The game begins when the war ends. I would also love to get this in book form. A lot of people on the story-games.com forums would also purchase it in book form. DED is mentioned often as one of the best designed games there is on the forums and people are baffled that it isn’t available in book form. I think the game has the potential for a much larger audience, if someone would play it on Geek and Sundry I think it would blow up, like Fiasco and Dread did. Anyway, please make it available in book form; we would be so grateful! Any possibility of a print on demand? Would love to have this gem in print.